Fruit in sandwiches may sound crazy but for some reason this recipe works. Take it easy though, don't start putting any old fruit in sandwiches. Stick to this recipe and you will get away with it. Slice buns and lightly toast. 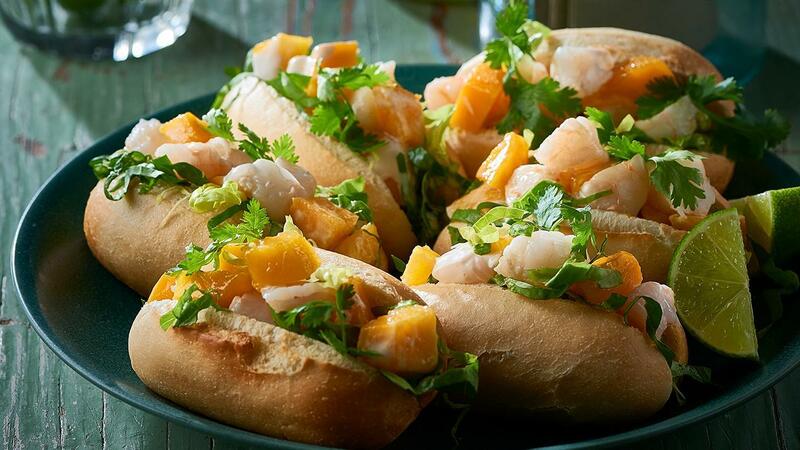 Fill with lettuce, chopped prawns and mango. Drizzle over HELLMANN'S Real Mayonnaise and sprinkle with coriander and KNORR Lime Powder. Serve with lime wedges.